Not sure if you need a building approval? A building approval (commonly known as a building permit required to commence works) must be obtained before starting construction on most types of domestic building work including swimming pools. Some minor building work may be self-assessable or exempt. 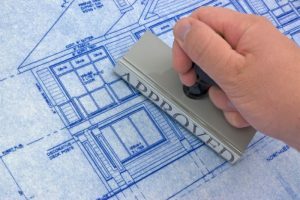 We can advise whether a building approval is required and whether any aspect of the proposed domestic building work such as maximum height, setback, aesthetics or character of a building is controlled under a Council planning scheme and whether additional permits are triggered. Ready to make an application now? STEP 1: You email us with your enquiry and where possible, attach the proposed site plan and/or other building work documents using the Online Submission Portal below. Outline services that you require with proposed details of works OR telephone to discuss your enquiry during office hours. STEP 2: DG Certifiers Pty Ltd will conduct a preliminary property check on initial assessment works that may be required based on information provided by you and a Fee Estimate will be prepared and emailed to you. Our Fee Estimate is valid for 3 months. You notify us by email or telephone of acceptance of our Fee Estimate and we will issue a Tax Invoice for payment. STEP 3: Attend to payment of tax invoice and make formal application for a building assessment and approval. STEP 4: D G Certifiers Pty Ltd will complete a full assessment of plans – checking, but not limited to boundary clearances, sewer, stormwater, demolition control areas; property overlays, noise transport etc. Assessment work is completed and a Building Approval (your building permit to commence works) is issued. Approval documents are archived with Council and provided to you and builder, where applicable. STEP 5: Building works can commence and inspections (throughout various construction stages) are to be booked with DG Certifiers Pty Ltd as required by the Decision Notice (approval documents). Minimum 24 hour notice for booking inspection required. STEP 6: Building works to be completed within time frame as required detailed in the Decision Notice conditions. Book a Final Inspection with DG Certifiers at a minimum 4 weeks prior to lapse date of Decision Notice.